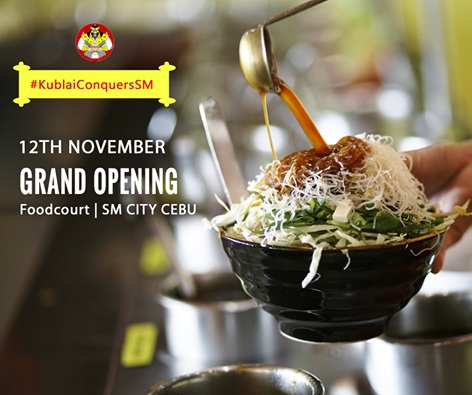 Last year, I had the privilege to be part of the soft launch opening of Kublai Khan in Parkmall. Although they've been around Cebu for quite some time already, that was the first time I get to experience Mongolian food. I loved the experience of experimenting with what to put in my bowl and at the same time trying not to mess it up too much. Create your meal just the way you like it! If you're a meat-lover then by all means, fill your bowl with all the meat you can find. Craving for shrimp, squid, or fish balls? Then, add more seafood. They also have a lot of greens so if you're a vegetarian, then there's definitely something for you to fill your veggie carvings. 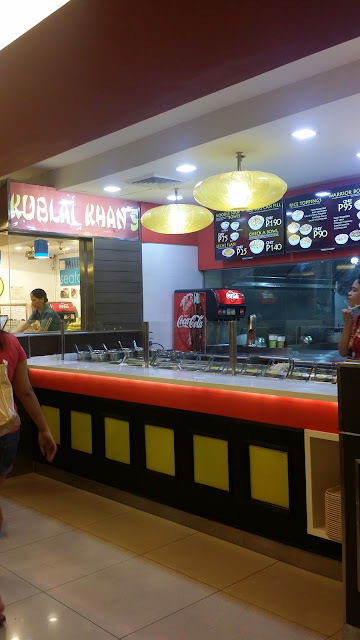 If it's your first time to try Kublai Khan and you don't have the natural culinary talent or if you're apprehensive of putting ingredients together and somehow fear that it will end up tasting weird, you may opt to have their chef prepare it for you. But hey, this is the fun part and you don't want to miss out on the experience of choosing your own ingredients and sauces. Price ranges from ₱75 to ₱190. Depending on your craving and appetite, you can satisfy your Mongolian craving for less than ₱100. For only ₱75, you can try their Noodle Soup bowls available in Chicken, Beef, and Seafood variant. For ₱95, you can get to try their Warrior Bowls which is a noodle-based meal in Pork Barbeque, Chicken Teriyaki, Spicy Beef, and Lemon-Ginger Seafood flavors. You can also try their Rice Toppings for only ₱90 available in Fiery Barbeque, Beef Szechuan, Sugar and Spice Chicken, Seafood Salsa, Saucy Vegetarian. All You Can Fill - What more can I say? 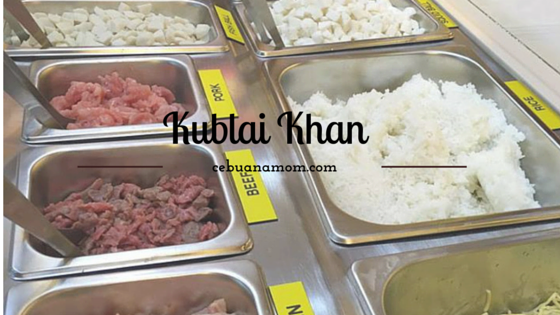 This is a one time fill option for ₱190, A feast fit for the hungry warrior in you.